If you’re experiencing a toothache in the Dallas metro area, our emergency dentists can provide urgent care for nearly any dental emergency. We accept most dental insurance, offer convenient appointment hours, and have flexible payment options for those without dental insurance. 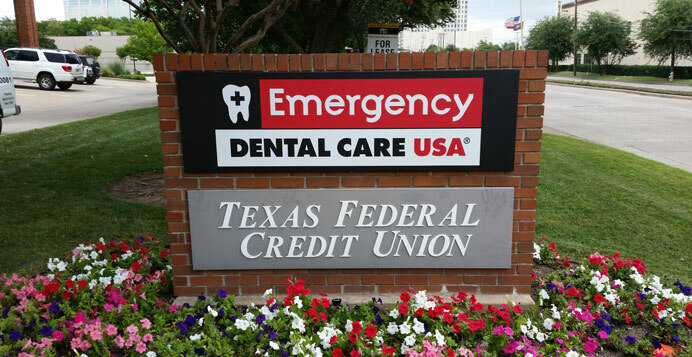 Emergency Dental Care USA of Dallas is committed to getting you the dental care you deserve quickly, and at a price you can afford. The Dallas Emergency Dental Care USA office is located two blocks west of the Dallas Tollway on Spring Valley Road near I-635 LBJ. We are located in Suite 30, on the southeast corner of the building. Our office is in Farmers Branch, which is easily accessible from downtown Dallas, Richardson, Lewisville, Irving, Carrollton and The Colony. Our dentists are capable of quick relief for emergencies, as well as providing a variety of cosmetic, general, and restorative dentristy. You really provided the relief I so desperately needed! Saw me with no appointment and quickly managed my pain! The staff provided many treatment and payment options. Can’t thank you enough. © 2016 Emergency Dental Care USA. All rights reserved.